Marley is no stranger to Wildwood Cove. Her favorite cousin, Jimmy and his wife live there and own a popular breakfast restaurant, The Flipside Pancake House. She hasn’t been in the quaint little town as much as she would have liked since Jimmy’s wife passed away but her job in Seattle kept her away. But Jimmy’s recent bout with pneumonia landed him in the hospital so Marley stepped in to help. Then the unimaginable happened. Cousin Jimmy died the day he was released from the hospital. Was it a tragic accident or murder? Marley was suspicious as were the local police. Soon foul play was confirmed. But what motive could anyone have to murder a beloved member of the quaint little village? Unfortunately, suspects started coming out of the woodwork. Could it have been an old love interest of Jimmy’s? Or perhaps someone who wanted to shut down the popular restaurant? Or maybe one of the residents lusted after the beautiful old home on the perfect piece of property he lived in? Or even worse – could Jimmy’s less than legal past have caught up with him and was he the upstanding citizen everyone believed him to be? Determined to find out what happened to Jimmy and dispel any rumors that were swirling around his death, Marley decides to do a bit of investigating on her own. Between a couple of gentleman friends that have popped up expectantly and the time she is spending at the restaurant that she now is in charge of, she quietly starts probing. Unfortunately, the killer is looking for something that he or she thinks is either in Jimmy’s home or the restaurant. Marley is in the way so will she become the next target? Sarah Fox’s cozy mystery has all the elements I love. An unlikely detective, a few handsome men and an interesting setting round out a perfect cozy and The Crepes of Wrath has all of them. She also adds a few yummy sounding recipes to the end of the book, which I can’t wait to try. Seriously, who would not love to have Bacon Cheddar Waffles for breakfast on a Sunday Morning? 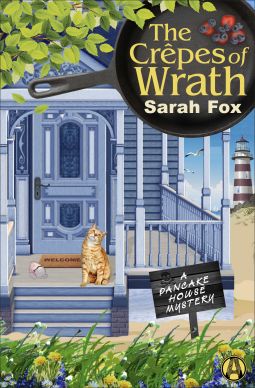 The Crepes of Wrath is the first in Fox’s Pancake House Mystery Series and the first book I have read by this author. I recommend it to anyone that enjoys a cozy mystery. Her other books include three titles in her Music Lover’s Mystery Series. Watch for the release of The Crepes of Wrath on September 20, 2016 or pre-order from Penguin Random House, Amazon, Google Play or Barnes & Nobel. It is a fun, fast cozy mystery perfect for fall. Maggie Dove has suffered loss in her life. She lost her husband, and then her daughter died in an accident a few years later. She finds comfort in her church family, her friends and the man that once was the boy her daughter loved. Living in her childhood home brings a type of peace and belonging to her. Until the neighbor next door decides he hates the tree in her front yard and wants to either cut it down or move it. That is the last straw for Maggie. She is willing to fight for her tree to the death. That is until her irritating neighbor is found dead under it. His wife blames Maggie, even though the cause of death is a heart attack. Or is it? She is even more upset when someone she cares about seems to be in the Police Chief’s radar as a suspect. When she goes to the nursing home to talk to her best friend, Winifred; Maggie gets a bit upset that she doesn’t even seem to be listening. To be fair, Winifred is having a bad time. The once vibrant woman, wife of no less than four husbands, has become so crippled with disease she cannot move without effort and pain. Even though the women have been friends for over fifty years, there were times they didn’t exactly see eye to eye, but this visit ends up being the bee in Maggie’s bonnet to do something about finding the real killer since the Chief doesn’t even seem to be looking for him or her. Maggie begins her own investigation by talking to people in her hometown that she thinks might have had a reason to kill her neighbor. She is comfortable digging around for clues since everyone knows her as well as she knows them. Unfortunately, she pokes more than one bear, but just can’t stop. Will she be the next victim? Maggie Dove is a great character. She is the kind of person you would want in your corner. She loves her Sunday School class. Most of them, especially the naughtiest ones, have been on the receiving end of her love and kindness. She professes her faith, yet struggles with doubts at times. Her imperfections are part of her charm. This is the second book Susan Breen has written. The first is a work of Literary Fiction entitled The Fiction Class. Maggie Dove is her second novel and first mystery. 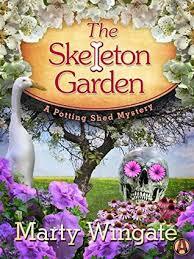 It reads like the first of a series of cozy mysteries so I am going to be watching for the next adventures of Maggie Dove. While it is fair to say the values of the characters are Christian based, this is not a religious book. I found it quite enjoyable and honestly did not know who the killer was until the last chapter. DISCLOSURE OF MATERIAL CONNECTION: I have a material connection because I received a review copy for free from Random House Chatter Box Monthly Mystery that I can keep for consideration in preparing to write this content. I was not expected to return this item after my review. 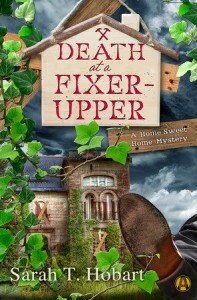 Book Review: Death at a Fixer-Upper – Real Estate to Die For! The ink is barely dry on Sam Turner’s new real estate agent license as she heads out to view a vintage home for sale. Unfortunately she has to tour the once grand home with Biddie McCracken, a crabby colleague at Home Sweet Home Realty. The tour is dampened by the state of the once opulent home. It would be a toss-up between renovation and complete demolition and starting over – but that is up to the future buyer. The century old estate has the lines of the grand dame she used to be, along with secrets held quietly within for many generations. Unfortunately, these secrets may be worth killing for. In fact, they have already. After the bizarre walk through with Biddie, Sam can’t believe her good fortune. She has three offers within a matter of days for a home that has only been marginally cared for over the last several years by a faithful housekeeper and her young daughter. Sam is excited at the prospect of selling the old place. Being a single mother in a small town hasn’t been easy. Raising her now teenage son has been a loving challenge but Sam has no regrets. Now that she is doing better financially, she is excited and scared to be purchasing a home of their own now. This sale will really help. Unfortunately for her, buyers start turning up dead. Determined to make this sale, Sam does a bit of investigating on her own. But soon she finds out the cutthroat real estate market doesn’t hold a candle to real killers. Hopefully she can still get out of this sale alive. Hobart writes a perfect cozy mystery. It is a fun, fast-paced, interesting book with enough twists and turns to keep mystery lovers turning the pages to see what happens to Sam next. There were enough suspects to keep me guessing until the final chapter, which I absolutely love. Kudos to Hobart for the great descriptive text in Death at a Fixer-Upper. It flowed naturally, but put you right in that old crumbling estate, the “vintage-… read ancient” VW camper she drives or any other setting in the book. All of the main characters are well rounded and I felt like I knew them. Sam would be someone I’d go to lunch with, or maybe just stop for some chocolate and caffeine – I totally get where she is coming from. I’ve worked with snarky people like some of the competing realtors. Sam’s friends, son and family are all cut from the same cloth as people I actually know. This made the book come alive for me. Death at a Fixer-Upper. is the third book in Sarah T. Hobart’s Home Sweet Home Mystery Series. It is the first one I’ve read and works perfectly as a stand-alone mystery. DISCLOSURE OF MATERIAL CONNECTION: I have a material connection because I received a review copy for free from Random House Books House Party that I can keep for consideration in preparing to write this content. I was not expected to return this item after my review.